Resins to Remove Calcium Magnesium and Soluble Heavy Metals Such As Iron and Copper. Does Not Add Harmful Chemicals. 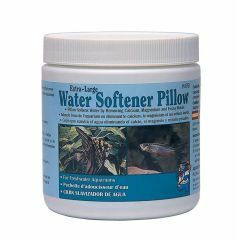 Aquarium Pharmaceuticals - Water Softner Pillow - Large product is categorised under Wholesale Aquarium Pharmaceuticals Inc products, Wholesale Aquarium Products, Wholesale Chemicals.